1. New designed 3 poles intelligent surge protective device (iSPD). 2. Designed for on-line monitoring of SPD degradation, circuit breaker working status, grouding conditions, SPD action times (surge counting). 3. On-line checking automatically, real-time monitoring. 4. 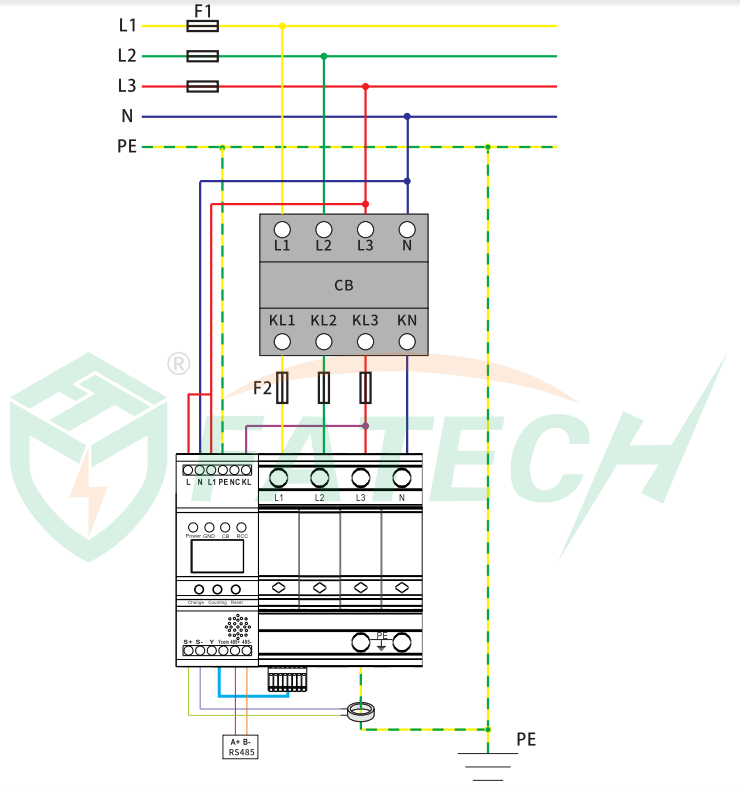 Adopt RS485 cable communication transmission data for monitoring module, which can connect with background server, to record and check the data. 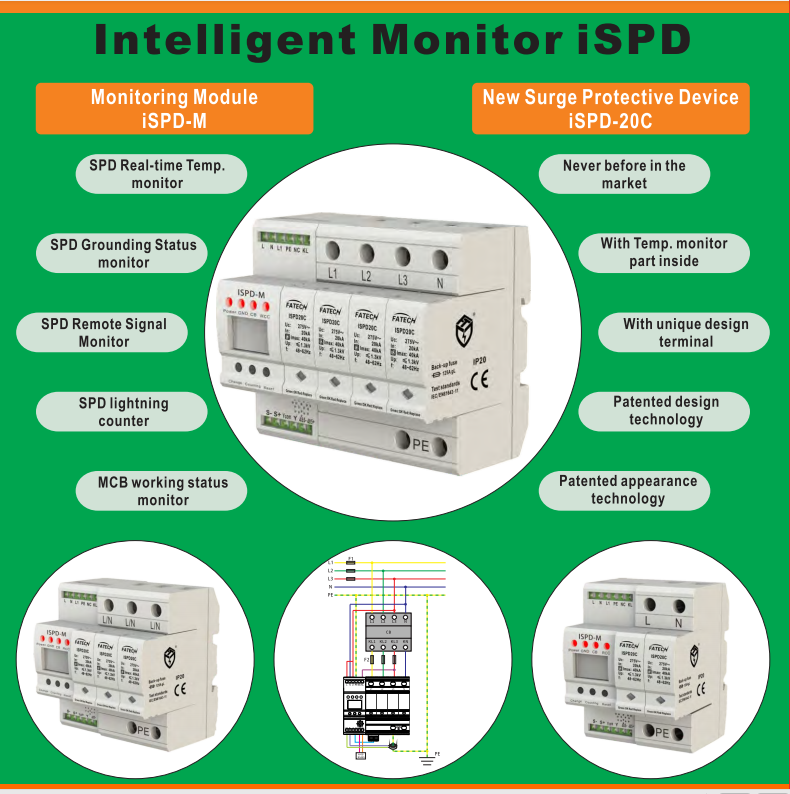 iSPD series intelligent monitoring surge protector, is consist of new designed surge protector with temperature monitoring part inside - iSPD-20C, and intelligent monitoring module - iSPD-M, which are awarded national design patent and appearance patent. The surge protector and monitoring module are installed into separate base. The monitoring module also could be used together with other different SPDs according to end-user’s different requirement. 1.The surge protector iSPD20C has inner temperature monitoring part installed inside every module, collection temperature is fast, the response to the temperature change of the surge suppression device is rapid, and the sensitivity is high. 2.There is pre-written temperature and status information data model in the monitoring module, it can monitor the temperature of each pole of surge protective device in real time. When the temperature is higher than the system set value, the monitoring module will perform an audible alarm. When the SPD ground wire fails and there is no grounding, the grounding alarm indicator will light on. When the SPD is struck by lightning, the display window of the monitoring module will count up. (3-bit LED display). 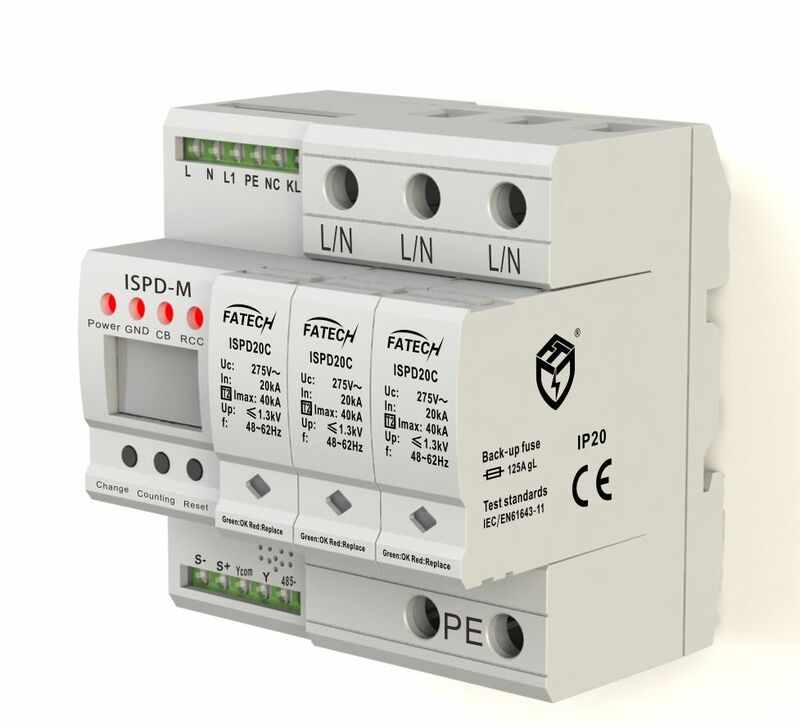 When the SPD is in the power off status, the MCB open alarm indicator will light on. Din-Rail mounting, adopt RS485 cable communication transmission data for monitoring module, which can connect with background server, to record and check the data. Remark: “x”is for 2, 3, 4 poles. Remark: it is optional for order both iSPD20C and iSPD-M together, or seperatly also acceptable.